Our project, Frick Chemistry Laboratory, has played host to a very special few days of events honouring the 100th anniversary of Princeton University's Alumni Day in the US. 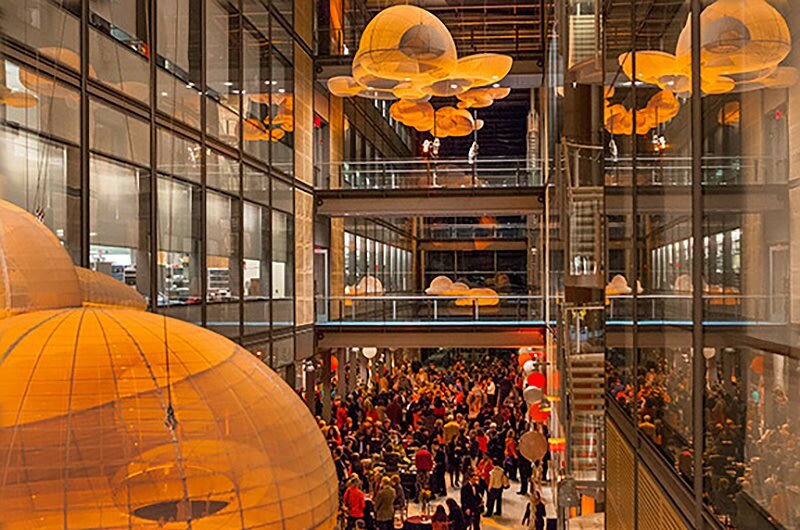 More than 1000 Princeton alumni, faculty and friends joined the celebrations in the building, which included concerts, poetry sessions, and eating and dancing throughout the public spaces. A number of awards and honours were given out to noted alumni; Queen Noor of Jordan received the Woodrow Wilson Award in the building in recognition of her life of public service.